KYOTO, JAPAN--(Marketwired - Oct 8, 2015) - Together, The Ritz-Carlton, Kyoto and The Ritz-Carlton, Tokyo have partnered to launch the 'One Journey, Two Capitals' package this fall. The exclusive luxury travel experience is available to distinguished guests eager to explore the pulsating energy of Tokyo, coupled with the ancient yet timeless beauty of Kyoto. Immersing themselves in two fascinating capitals of Japan, guests will enjoy two nights in Deluxe or Suite accommodations in each hotel, daily breakfast for two, special amenities, and personalized services including one escorted butler transfer to the train station through this once-in-a-lifetime journey. 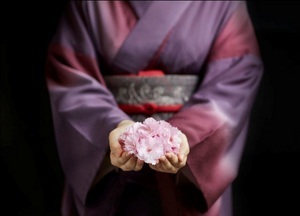 From the vibrant pop culture and cosmopolitan nightlife of Tokyo, to the zen gardens and ancient temples of Kyoto, The Ritz-Carlton enriches the experiences of its Ladies and Gentlemen, looking after every aspect of their travels in Japan between the two cities. Personalized services via 'One Journey, Two Capitals' include the coordination of airport transfers, bullet train tickets between Tokyo and Kyoto, and butler service to the train platform, ensuring a seamless ride. Additionally, a selection of activities led by Japanese craftsmen honoring cultural traditions that have been passed down from generation to generation for centuries can also be added to the hotel package for an additional fee. Guests typically begin the journey in Tokyo, the modern capital featuring incredible entertainment, modern Japanese culture, and one of the world's largest fish markets. At The Ritz-Carlton, Tokyo, guests are immersed in local culture and the Japanese art of the crafts through exclusive tours customized by the Experience Curator. A selection of unique activities include a guided tour of the Tsukiji fish market with a fish expert, a behind-the-ring look of Sumo wrestling, mastering the art of cultivating Bonsai, a spiritual walk in sacred Japanese shrines and gardens, exploration of the technology and art museums, a Harajuku and Shibuya shopping excursion, a Japanese whisky tasting with a whisky expert, and much more. Afterwards, a retreat to the world heritage city of Kyoto will reveal the awe-inspiring land of Zen Buddhism and artisans while enjoying sophisticated Kaiseki cuisine. Highly acclaimed for being the only luxury resort in the heart of Japan's ancient imperial city, The Ritz-Carlton, Kyoto offers activities ranging from Samurai lessons with a Kenbu master, an interactive traditional kimono ceremony followed by a rickshaw tour, premium sake tasting led by the experienced in-house sommelier, a sushi master class under the guidance of Japanese culinary experts, art and bike tours of local sites, traditional Japanese soap making classes, and much more. The Ritz-Carlton Hotel Company, L.L.C., of Chevy Chase, Md., currently operates 90 hotels in the Americas, Europe, Asia, the Middle East, Africa, and the Caribbean. More than 40 hotel and residential projects are under development around the globe. For more information, or reservations, visit the company web site at www.ritzcarlton.com or www.ritzcarlton.cn. The Ritz-Carlton Hotel Company, L.L.C. is a wholly-owned subsidiary of Marriott International, Inc. (NASDAQ: MAR). Together, The Ritz-Carlton, Kyoto and The Ritz-Carlton, Tokyo have partnered to launch the ‘One Journey, Two Capitals’ package this fall.